The Permission of The Meadow: Duncan's "Often I Am Permitted to Return to a Meadow"
Robert Duncan [1919-1988] was an important figure in the San Francisco Renaissance, who also had important literary connections to Black Mountain, the Beats, gay literary issues, etc. By any measure, Duncan was a large figure, encompassing many interests and passions, which are reflected in his work. Nevertheless, his popularity and official position in the post-War pantheon of American poets, remains relatively obscure. His work isn't exactly hermetic, or syntactically abstract, but his style is predominantly romantic, and it speaks to rather special interests and may occasionally seem obscure in its references--at least to the contemporary reader. His collected works are presently being published by the University of California Press. Though I have never been a great fan of Duncan's work, there are a handful of his poems which I feel belong among the best poems of the 20th Century. "My Mother Would Be Falconress" would be one, and another, the first poem in his collection The Opening of the Field [Grove Press, 1960] below--are two such. As you will note, the evident title is grammatically the first line of the poem, an affectation that I find interesting, as if the music of the title were subsumed into the lyrics of the whole poem, rather than being a separate announcement of its subject-matter or content. The title thus acquires a refrain-like familiarity which it would not otherwise have. Duncan's childhood was in several ways unusual. You can read the bare facts on his Wiki article. Duncan was a precocious child, who grew up in an atmosphere of seances, meetings of the Hermetic Brotherhood. Books in the home included the Occult. The household was permeated with Theosophical notions and practice. His deep memory of the mysteries of religion and philosophy, encountered at an early age, were intimately bound up in the organic birth and growth of his consciousness, and, later, his sexual awakening and sense of identity. 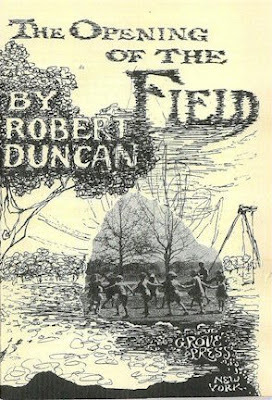 Duncan tended to see the development of his sense of his place in the world as pre-ordained or destined; and his work serves as a kind of exploration of the structure of that ordination, as an unfolding drama of his own connection to the larger forces at work in the universe. Formally, his work seems to flow out of the Romantics--Shelley, Blake, for instance--though he thought of his work as emerging from the Modernist tradition of Eliot, Pound, H.D., Zukofsky. To the ordinary reader, his work will always seem superficially to harken back to an earlier epoch, pre-scientific and mystical, even primitive. Duncan himself was well aware of these apparent contradictions, and sought to reconcile them in his work. This poem struck an immediate chord in me when I first read it, not because it spoke to any philosophical issue or ontological preoccupation, but because it addressed what I regard as a universal fact of human consciousness, the sense of conceptual uniformity of existence, a sense which many people have from an early age, often associated with their earliest experiences of reading, though there are other kinds of experience which may offer similar kinds of apprehension of wholeness, or oneness, or unity of being. The meadow, for me, as a symbol or scene of "the made place" is a safe, contained enclosure, within which inquiry, play, discovery and attention can occur. One is "permitted" to return to it, at any time, to the delight and mystery of the world which reading (the portal) reveals. The meadow is then "an eternal pasture folded in all thought." This suggests that the mind itself is the meadow, where this folding takes place--in the same way that earth is turned and cultivated. The folding and enfolding suggests the wrapping and re-wrapping, the turning and mixing and churning of thought itself. The meadow is a sacred place, sacrosanct and inviolable, yet complex and convoluted. Inside the pasture (or meadow) is a hall, inside an "architecture"--perhaps the architecture of the memory and experience of the speaker. Nested inside this architectural space, appear the First Beloved, beholden to "the Lady" who is "Queen Under The Hill" "whose hosts are a disturbance of words within words/that is a field folded." This female figure stands over the shadowy scene, "a disturbance of words within words/that is a field folded." The "words within words" (an etymological hall of mirrors?) is a metaphor for the mystery of appearances, and the deceptive, endlessly intriguing maze that is language, weaving spells and conjuring ghosts and expanding boundaries of understanding and awareness. This female figure stands as a kind of guardian over the meadow (or field), though what her design may be, or what she stands for, is unspecified. And yet, "it is only a dream" made by the imagination, "grass blowing east against the source of the sun in an hour before the sun's going down." Sunset, "whose secret we see in a children's game of ring a round of roses told." The nursery rhyme--an echo perhaps of T.S. Eliot's garden paradox in "Burnt Norton" [Four Quartets, 1935]--evokes the musical trance of innocence locked in the past, forever stuck in the circularity of familiar repetition, of history repeated, enacted, re-enacted. "Often I am permitted to return to a meadow/as if it were a given property of the mind." And indeed, it seems that the return to the meadow, through the portal or medium of language, is permitted as often as we wish, to recapture its reassuring sanctuary against "chaos" "that is a place of first permission"--our original innocence, or our earliest memories of the magic spell wound inside our minds through the alchemy of the incantation (the grammar of consciousness). The symbolic significance of the First Beloved, the Lady, the Queen Under the Hill, is kept intentionally vague, I suspect, since Duncan wasn't willing to be more specific about the ultimate meaning of these symbolic references. They could be religious references, from Christianity, or more obscure deistic sources. But it seems less important to the poem's meaning and power--than that they remain as expedient figures in the speaker's own hierarchy of personification. Each reader may have a different version of the specific archetypes from the "meadow" of childhood reading and experience. We all bring our own baggage to the poem. Each of us may have our own particular First Beloved, our own Lady, our own secular deity. But our earliest experiences of language comprise a nearly universal participation--a shared recognition that is more, or less, powerful depending upon how keenly it was felt. Every time I begin a poem, or a novel, or a short story--and the same holds true of musical or video works--I have this familiar settling in, a participation in a process whose magic is as dependable and satisfying as going to sleep, or eating a good meal, or having an interesting conversation, or a walk in the woods, or making love to another. Reading itself is one of the arts, as surely as drawing a picture, or hand-writing a letter. We participate in a process which we are permitted to join. And that permission is our birthright as humans, our capacity to use language, an invitation and a timeless welcome. In the Bay Area, we have the luxury of two major league baseball franchises--the San Francisco Giants, and the Oakland Athletics. Over the last several years, these respective teams have pursued very different management strategies, with respect to how they construct their rosters from year to year. The A's have become notorious for a constantly shifting roster re-build, dumping half or more of each year's players through trades or voluntary releases, to such a degree that fans feel as if they must be "introduced" to an entirely new squad each spring training. This approach de-emphasizes "loyalty" and team cohesion in favor of hard pragmatic measures; it's run like a corporation, hiring and firing willfully, without regarding for the feelings of individual players, or of fan sentiment. Players who do very well or very poorly, are likely to be treated the same, either to rid the team of their salary commitment, or because of poor performance. Players aren't people in this system. They're just ciphers or parts of a machine. The system places great emphasis on the skill and intuition of the general manager, which is why the team general manager, Billy Beane, has been lionized by the media (and even a major Hollywood film based on a book about him and his management style) for his "moneyball" success in crafting competitive teams. 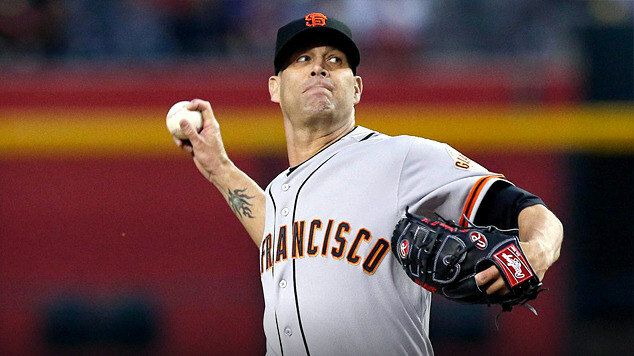 The Giants, on the other hand, have built a successful franchise on a different principle. Brian Sabean, the Giants General Manager from 1996 to 2015, took a different approach, building teams through the minor league system, sticking with them through the early times as they matured, and through shrewd judgment of existing free agent talent. The team has attempted to treat its players as the emotional, sensitive people they are, valuing individual player loyalty, and nurturing team cohesion. This approach has brought the team three world championships in the last five years, and the team is comfortably, at this writing, in first place in the NL West Division, also leading the majors in winning during much of the last month or so. But there are problems to both approaches. The Athletics are ruthless in dealing with talent. Professional major league teams are businesses. If a team isn't performing, it must be regarded dispassionately, the bad (or weakly performing) parts cut out, and replaced with better options. There's a certain amount of fluidity to that, of course, since all players, and all groups of players, undergo fluctuations from day to day, week to week, and month to month. The Giants, on the other hand, seem to over-emphasize player loyalty, often holding onto a player well after that player has demonstrated a decline in quality--an inevitable factor in almost all players' careers. 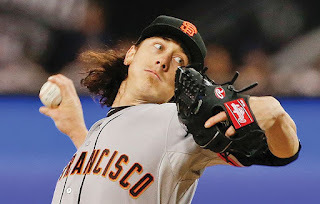 Tim Lincecum displayed Cy Young numbers for five years (2007-2011, during which his combined record was 69-41), but then his career began to tank. This was obvious for anyone to see. His herky-jerky motion, relatively small frame wasn't constructed for a long career. He lost velocity on his fast-ball, and began to lose his control. The handwriting was on the wall. Lincecum's career was destined to be a short one, as I had predicted way back in 2010 here on The Compass Rose. Yet the Giants held on to him, despite this decline, partly out of a sense of sentiment (or nostalgia). 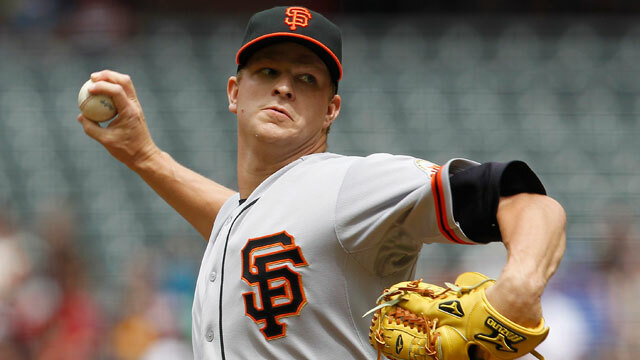 Matt Cain came up through the Giants farm system, and became what is commonly called a "good journeyman" position on the staff, going 85-78 between 2005 and 2012. Then, almost overnight, his arm went bad, and his participation was cut in half. It was clear, by 2014, that Cain was no longer the strong, young journeyman he'd once been, as his ERA ramped up, and hitters began teeing off on his diminished stuff. He underwent arm surgery, and his return has been a disaster. Cain's career is over, but the team seems determined not to accept that verdict. The team has had similar experiences with free agent hurlers. Tim Hudson was clearly over the hill, whose best years had been with Oakland, and then, for several years, the Atlanta Braves. Yet the Giants hired him for two seasons, during which his combined record was 17-22. In retrospect, that decision looks to have been a mistake, unless you accept the pragmatic notion that every staff must have a few "innings-eaters" even if their starts result in losses. In 2014, the Giants signed Jake Peavy to a three-year contract, despite his going 1-9 for the Red Sox the first half of that year. Peavy's best days had been with San Diego, where he went 86-62, and earned a Cy Young with 19 wins in 2007. Judging from how he's pitched since then, there's no evidence that he has the body or the skill to put up numbers resembling those ever again. 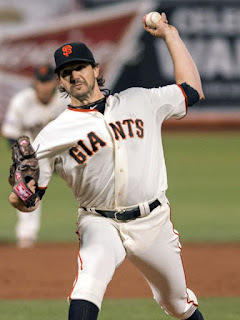 The Giants have been through this routine before with Barry Zito, their worst free agent signing ever. 63-69 in the seven seasons of his long contract. Though it was clear that Zito's career was essentially in disarray by 2008, the team kept using him--and losing with him--through another four agonizing years of frustration. Contracts and obligations often weigh teams down. Players given huge long-term contracts may prove to have been very bad investments. Giving up on a player in mid-career may sometimes be a mistake, though a simple change of scene may be the only way of reviving a player's performance. Astute students of the game can usually tell who to offer the big contracts to. But letting emotion and sentiment dictate your moves can be a mistake. 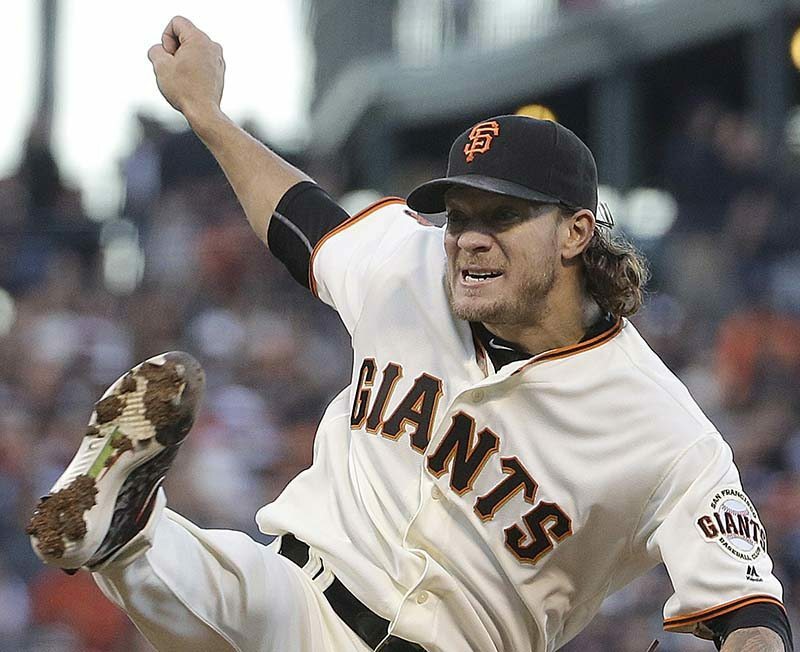 Right now, the Giants have three very good starters in Bumgarner, Cueto and Samardzija. But Peavy and Cain are dragging the team down. Any game that either of these two guys start is likely to be a blow-out loss. Neither seems capable of sustaining more than an inning or two of acceptable dominance, frequently giving up runs in bunches, often to mediocre teams. As long as the Giants keep running these guys out there, we're going to have to keep crossing our fingers. It's like expecting that 40% of your games will be forfeits! It would be nice if a faith in players earned dividends in the real world. But in professional sports, the bottom line is made from ability and success. Players whose abilities have withered, can't be kept around just "for old times' sake." These two has-beens need to be shown the door, and replacements found. I'm all for loyalty and humanity and common decency, but Peavy and Cain are no longer major league pitchers. It's over. Better to cut the cord now, before they drag the team down in the standings. I'm not suggesting that the Giants should be run like the A's. Quite the opposite. Building strong teams is nearly impossible by turning over your whole roster every year--and the effects on your fan base are disastrous. But I do think the Giants need to be more realistic about these tired old arms than they have been. The team is in contention for another title this year. The Cubs, who are trying to win it all this time, after a century of frustration, would be unlikely to settle for second-rate performance like that we've been getting from Peavy and Cain. We should be just as impatient. I've written previously about George Oppen's Discrete Series, in a blogpost here under Minimalism Part IV, on July 30, 2009. As an example of an approach to verse that employed a reductive, spare concision to convey unusual effects, it has always struck me as an ideal example of the form. I loved that book, long before I knew the back-story of its composition and publication, and appreciated its value without realizing the context of its initial emphasis, or why it would eventually become symbolic in its temporal isolation in the middle of the 1930's. 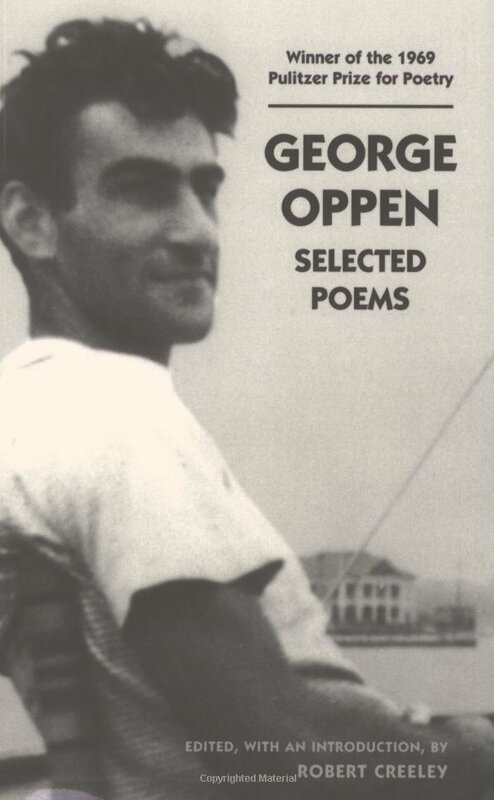 I recently came upon a copy of Oppen's Selected Poems [New Directions, 2003], edited by Robert Creeley, with a Chronology of Oppen's life by Rachel Blau DuPlessis, a book which for reasons I can't explain I'd never seen before. Published well after Oppen [1908-1984] had died, it's a telling, though perhaps unintentional, piece of evidence about how Creeley saw the elder poet, a figure who had explored some of the same literary territory that the younger man would, thirty years later. As the Chronology makes clear, Oppen's earlier life was unusual in a number of ways. Born into a comparatively well-off Jewish family, his Mother committed suicide when George was only a toddler. Early difficulties in school lead to a restless youth, and much travel. While still in his 'teens, he meets and marries Mary, his life-companion, and together they commit to political principles that align them with the Communist Party, which they join in 1935, becoming active in union organizing and relief efforts. 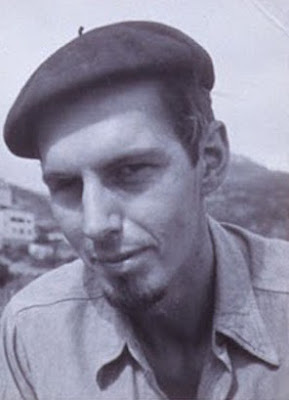 Creeley, born in 1926, is only 9 when Discrete Series is published in 1935. Oppen is a full generation older than Creeley. According to the Chronology, Oppen had virtually completed the book by 1930, when he was just 22. Discrete Series, then, is in fact a very young man's book, written at the end of the 1920's, just before the Wall Street Crash, at the beginning of the Depression, by a man whose political sympathies are, from an early age, Left. The young author decides at this key juncture, that the artistic life must be set aside, in favor of social awareness and action, sets aside writing altogether, and by the beginning of the War, he is working in an automobile factory in Detroit. Drafted into the Army, he serves in Europe where he is severely wounded in the field, and leaves the service a highly decorated veteran. During the early 'Fifties, he comes under pressure from the FBI for his political activity, and decides in 1950 to live in Mexico. The Oppens don't return to the U.S. until 1960, when he begins once again to take up his pen. In close succession, he publishes three books of poems [The Materials, 1962; This in Which, 1965; and Of Being Numerous, 1968]. This outpouring of work (he wins the Pulitzer for the third book) leads to a general recognition by a new generation of readers, who for the most part are unaware of the author's earlier incarnation as a 'Thirties activist. Though the first book is reprinted in 1966, the context of its original appearance, and the meaning of the long hiatus of publication, remain largely unknown. It would take a whole book-length study even to outline the literary developments which occur between 1935 and 1960, but suffice it to say that how Oppen's work was initially viewed during the 1960's, and later, must be understood as a part of a larger struggle taking place in American art and literature during this period, between the Depression and the beginning of the 1960's. 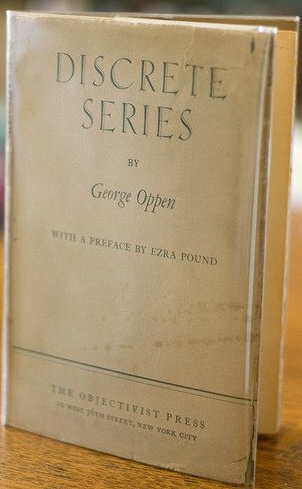 Oppen's "underground" self-exile and prohibition effectively removes him from the time-line for 20 years, a period during which socialism is rejected, the country fights and wins a world war, then undergoes a tortuous period of anxiety and paranoia (The McCarthy Era), while experiencing its period of greatest broad economic prosperity. In the meantime, Creeley, who comes of age as a writer during the notoriously quiet and tradition-bound 1950's, begins to achieve recognition and success at precisely the same time as the "later" Oppen. Their respective careers run parallel through the 1960's and 1970's, each participating in what we now understand as the period of the New American Poetry, initiated by the publication of the anthology of that name [Grove Press, 1960] edited by Donald Allen. Ironically, Oppen cannot be included in that selection, because he hasn't yet written the poems that will place him among its company! 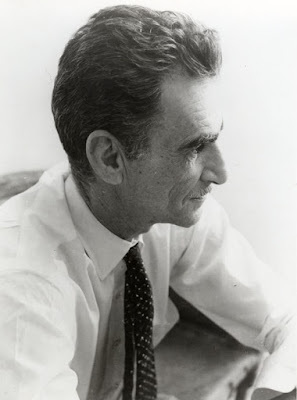 Looking back once again, one notes that Oppen had been a key member of the Objectivists group, which included Reznikoff, Rakosi, Zukofsky, Pound, Niedecker and Carlos Williams. (Discrete Series is, in effect, a self-published book, since Oppen is the key funder to the Objectivist Press.) The associations thus formed, in the turmoil of the world-wide Depression (a period of radical political and aesthetic engagement) will be repudiated or abandoned by these writers, after World War II, effacing the memory and effect of their earlier commitments, only to be rediscovered, as if for the first time, by the younger generation of the 1960's. For Creeley, Objectivism was an historical artifact, whose causes and concerns had faded from memory. Like Oppen's first readers in the 1960's, he understood the older writer as a survivor from an earlier period, recollecting those life-experiences in a calm, meditative style. The marked differences between the method of the poems in Discrete Series and those written after 1958, suggest not just the transformations wrought by time, but an aesthetic about-face which undercuts the meaning and value of the earlier work. The divide between the earlier and later Oppen isn't linear, following the clear descent from a sharp eye to a thoughtful reappraisal, but a reemergence from nearly total obscurity. 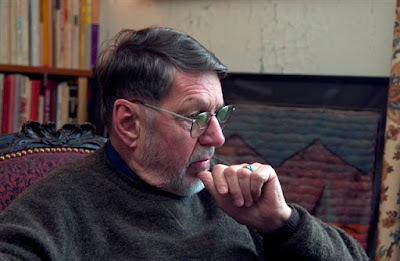 Turning to Creeley's selections, it is astonishing to see that he chooses only two poems from Discrete Series--"The knowledge not of sorrow, you were" and "The edge of the ocean"--as if that earlier volume were an afterthought, only to be remarked with a couple of small snapshots for the family album. Why, one might ask, would Creeley's appreciation of Oppen be so narrowly focused on the later writer, instead of upon the youthful (30 years earlier) revolutionary of 1928? It's intriguing to wonder why Creeley would choose to de-emphasize the younger Oppen in favor of the later. Perhaps it's because he felt that the issues and concerns of the earlier writer were no longer pertinent to a later audience. Perhaps those early, "objectivist" priorities (sincerity and objectification) were no longer valid measures. Oppen had said (in retrospect) "a discrete series is a series of terms each of which is empirically derived, each one of which is empirically true. And this is the reason for the fragmentary character of those poems [in Discrete Series]." It's instructive to place the poems in Discrete Series beside those of Creeley during his own "minimalist" phase--Pieces [Scribner's, 1969]. There can be no doubt that Creeley's indulgence in the minimalist form is parallel to Oppen's, yet there are clear differences in style and approach. While Oppen's poems are "fragmentary" and use parataxis freely, Creeley's are invariably grammatical and even narrative in progression, frequently reducing poems down to singular grammatical units, but never breaking them apart. Oppen's poems in Discrete Series are rather molecular, while Creeley's are constructive, using what lies to hand. Did Creeley's de-emphasis of the earlier Oppen also signal a political dismissal? It's a question that I leave open for the time being. I can only say that it's strange that he would choose fully 44 pages of work from the end of Oppen's career (the poems from Seascape: Needle's Eye ; Myth of the Blaze ; and Primitive ), reprinting only two poems (two pages) from Discrete Series. In my view, the poems in Discrete Series are not merely stronger than nearly everything he published later; they are so much more original than anything that had come before, and driven by a vision which is so much clearer and and better defined than the poems after 1958, there is hardly any comparison. If we wanted to write the alternative literary history of America, we would certainly have to mark the publication of Discrete Series in 1935 as among a handful of signal events, many times more vital and predictive of later developments, than anything else that was being done at the time. 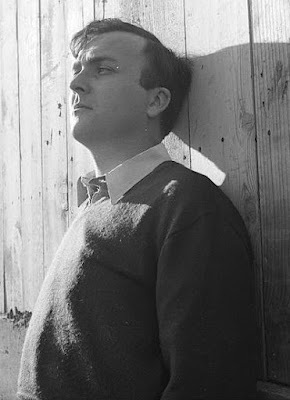 Perhaps the point is that Oppen's earlier book had been so thoroughly effaced from literary consciousness that its discoveries and explorations would have to be completely reinvented by writers such as Eigner, Creeley, and others of the post-War generation; as if--as if!--Discrete Series had never happened! It is almost as if Creeley's deliberate suppression of that work were a new kind of repudiation of an earlier exploration and accomplishment--not on political grounds, but on aesthetic ones. 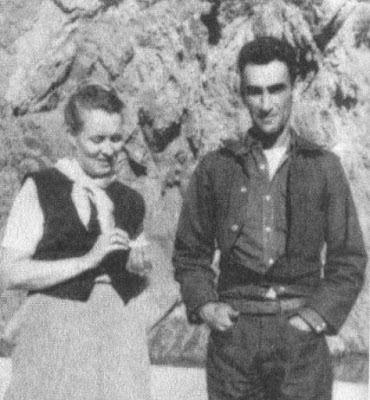 The self-abnegation implied by Oppen's abandonment of verse as a kind of irresponsible activity in face of widespread social distress, is matched by the chastening after-effects of political suppression following the McCarthy Era. It is possible, perhaps, to deliberately "forget" the unfortunate events of a generation or two back--and the part played in them by active participants--but the written artifacts can't be so easily set aside. Creeley sees Discrete Series through the wrong end of his telescope, and judges it to have been unformed and relatively minor. Why is it that each generation tends to see the efforts of preceding ranks as the work of "old men"--and not the vigorous, hopeful, brave experiments of young men, just starting out, fresh and untamed, unswayed by caution, or fear of rejection? Discrete Series is the writing of a very young man. That tells us a great deal about the work, and about those who do or don't care to acknowledge the fact.